I am surprised that you would have yew wood on your list as every part of yew is toxic. I am aware the plant is poisonous but I have not been able to find anything indicating yew lumber is unsafe. Please send any links to research you have. You said you use untreated pine boards. That puzzles me. If I used untreated pine here in south Louisiana I would have termites within the season. Do you line them or is it no problem where you live? Yes, there are no termites in my area so the only thing that wears down the pine is the weather. I’m curious why you say not to use cinder blocks for raised garden beds. What’s the knock on them? I haven’t done a lot of reading about them but, very generally, as I understand it: cinder blocks are the old style and concrete blocks are the modern version. The ash used in the old ones can contain heavy metals. Apparently there can also be fly ash in some new ones too (also with heavy metals), so further checking is needed before deciding whether or not to use them. Since the article is really about wood choices, I haven’t searched further on this. Something I am going to use this year: An old refrigerator / freezer! I took the motor and cleaned the insides out (shelves, drawers, sliders for them, ice machine..etc. ), drilled large drainage holes on the back side through to the inside, laid it down on it’s back, filled with compost, and plant. I made my first one last fall, so I haven’t used it yet. They can be painted any color on the outside or screw anything into the outside to change the look (wood, metal of some sort..?). I’m planning on using broken down pallet board to screw onto the outside making it rustic. Next winter, I am planning on using it for a small winter garden.. I just need to get my hands on an old glass door for the top.. It’s already insulated, so it should work fine. I love it! Sounds like you’ve figured out how to make it safe and fabulous. Old dryer drums are a treasure here. I’d love to find some but the metal collectors snap them up so fast! Good luck with your projects. 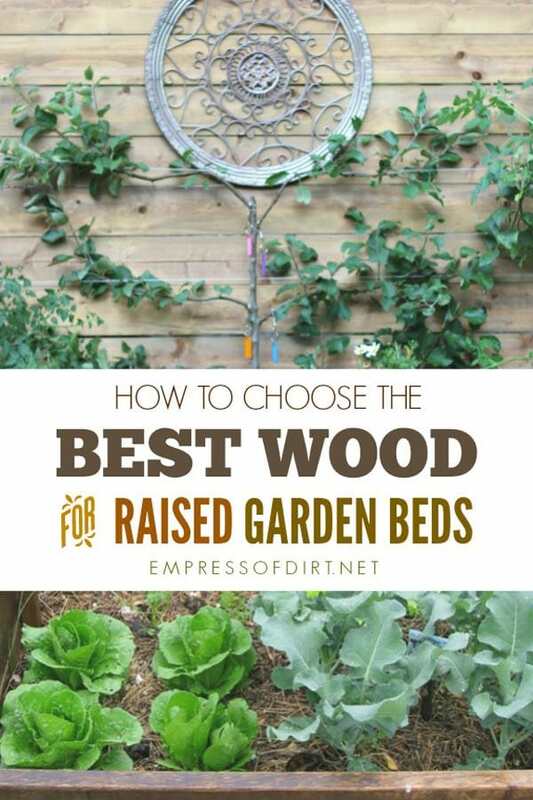 Apparently if you char the wood on the inside of your wooden garden bed it adds a degree of rot resistance. I volunteer at a CSA in central New York, and have the goal of building some raised beds from local, environmentally-friendly materials. My thought is to build them from charred box elder logs (Acer negundo). They are readily available, since in many places they are shading farmer’s fields. They also have little value as lumber, or firewood. I have, in the past, used them un-charred to build raised beds, but only one log high. I speculate that charring would keep them stronger longer so that I can notch them, and keep the notch from rotting into pulp, weakening the bed’s stability. I also theorize that charring them would, in effect, make them near-permanent carbon-sequestration facilitators? I can’t recall where, but I read that archeologists are finding the remains of Native American buildings with charred posts that are still intact, and un-decomposed below the soil level millennia after they where constructed. The way I have pictured to accomplish this is to cut the logs to the desired length, and notch them so they can be stacked log-cabin-like. Then, secure them to what amounts to a rotisserie so a fire can be constructed underneath them, and they can be rotated as they char to the desired level. I realize that having a fire to accomplish the goal of keeping carbon out of the air seems contradictory, but my logic is that a) the biggest part of the tree is what is being interred, and b) having the wood burn into CO2 is better than having it rot into methane(?). My understanding is that though it will produce the greenhouse gas methane at a slower pace than burning, methane is much more damaging, much longer lasting, and not an ingredient in the carbon-cycle that had the tree take out the earth-warming gas in the first place. Is my logic sound? Do you think it will work? Any suggestions? One worry is that the charred logs will rot from the inside out, so to speak. Another is that some may complain that the charring gets their clothes dirty; my solution to this is a sign that says, “Black Pants Only”. Hope to get your input, and will try to let you know how it goes. Hi John, It’s not something I could form an opinion on without doing a lot of homework, but do let me know what you try and how it goes. Here in Australia I use 8×2 treated pine sleepers and drape a black plastic over the timber and the dirt keeps it pressed hard against the sleepers and fold it a couple of inches over the top and fasten it with a little bead. For the cost savings of the timber I can afford the replace the plastic every 5 years. Hi Roy, I have mixed feelings about the plastic. I see the value in extending the life of the wood but the disposal is the problem since it’s in landfill forever. There’s lots of choices like this in gardening (and life in general)…. Instead of plastic, is weed fabric any better? I don’t know. You would need to find out what the specific product is made of and find out what the research says. I’m wondering about the wood skids that seem to abound here, for the taking. Are they apt to be treated in any way? They look pretty much like raw wood, to me. If safe, they’d be a great source of free lumber. This was really helpful Melissa. Thanks. I’ve been thinking of getting a large galvanized trough to use f growing vegetables would I need to remove the bottom for drainage? Also, you mentioned that cinder blocks can generate heat. Would that be helpful to extend the growing season here where the summers are short? 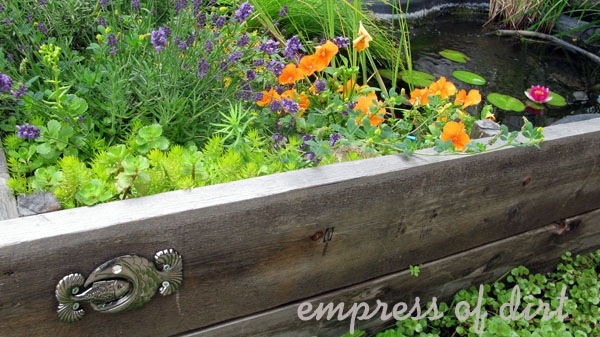 I haven’t used a galvanized trough but love the look of them. I’m guessing that, while there would be some benefit to increased warmth, it could also dry out the soil a lot faster. It would probably work fine if there’s an irrirgation system or one stays on top of the watering. Some suggest using the smaller hay bales to build raised beds…either to serve as walls (with straw strands oriented horizontally), or be planted directly into (with straw strands oriented vertically). Of course they do break down faster than wood, but if you see this as a way of generating great compost to maintain health, moisture retention and aeration of soil then it’s a win win. And if one chooses a nutrient rich hay, like pea straw or lucern for example, this value adds also. I’d be curious to hear if this provides any barrier/inhibition to snails and slugs? 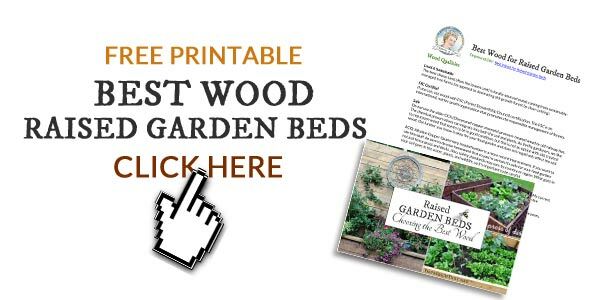 I’ve been searching for a good wood to use to make fences next to my garden. I like the look of the weathered wood. I wanted to add; from my understanding of recent reading concrete bricks shouldn’t get used near gardens. Something to do with fly ash that is added to the Portland cement. It’s supposed to be have lots of heavy metals that can leach into your soil. Yes, everyone needs to do their own research to determine what they feel it safest. I use untreated wood to avoid these problems. I guess the choice of wood would also depend on the country. Some woods available, say,in USA fairly cheap (cedar etc). Would be crazy expensive in other countries. The secret is to find out works best and economically in your country and stay away from chemically treated timbers. Here in New Zealand, for example, Macrocarpa is an excellent choice. redwood or cedar etc would be like gold. Termites love Pine boards in my area. I went with Western Red Cedar. When you say pine, are you referring to southern pine? Otherwise, I have to question the claim for 10 years longevity. Except southern pine, experience and research evidence common pine has very poor durability in exterior applications, especially in direct contact with soil, unless treated. In the post you say you build the planters with 1-by lumber, but the pictured pond-in-planter depicts what looks like 2-by lumber. With the pressure of the water, I could the pond being a special build. On your 1-by construction how often are you recommending bracing to prevent bowing? I have had very good luck with pine and it sounds like you have not. I’m sure it comes down to how long the boards are exposed to moisture. The pond in a raised bed was 2-by pine at my old garden. Then I started finding 1-by pine barnboard at lumber stores here and have been using it for a number of years. 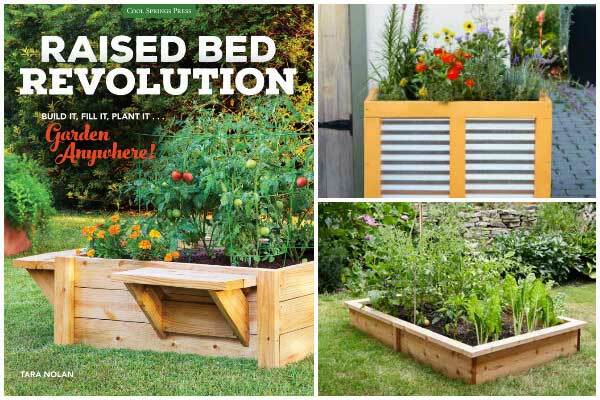 If the raised bed is longer than a few feet, I add 2x2s at one or two points along the way and secure the outer boards to it. My standards may not be as high as yours but I neither see bowing, nor would I really care if there was some (unless it was dramatic). I just need the wood to hold the soil in place and look decent and that’s what it’s doing. I hope this helps. 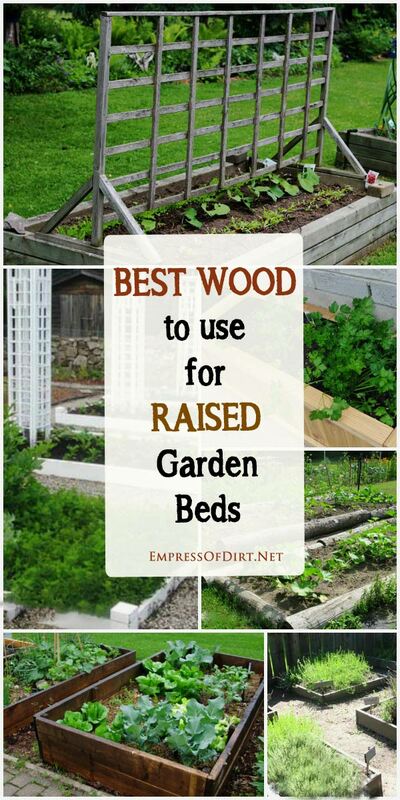 I had good results raising beds without any frames at all. I rake tilled soil into mounds, level the tops and proceed with seeding and transplanting. This method has proven very successful. 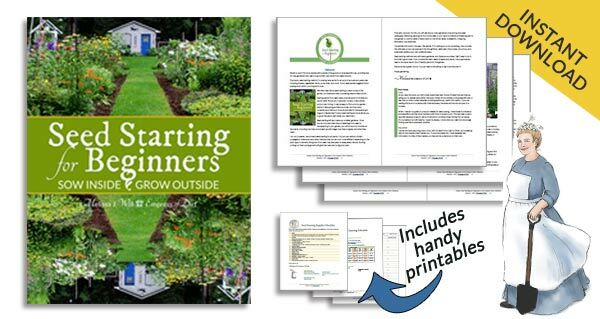 It eliminates a step and cost, and gives me the option to re-arrange the garden next year. I don’t have to be concerned about contaminating the soil. Yes, I like that option for summer beds. I used to do that when I lived with clay soil. Here with sand, it doesn’t work: everything washes away. Also, I use the frames to convert everything into coldframes in the winter. But, there’s no reason to add frames for warm season gardening with the right soil. I use 1″ hemlock or Tamarac where I live in Canada. I get it rough sawn and it’s cheap and is rot and insect resistant. Good article, thanks for sharing. What about Larch/Tamarac wood, I have heard it lasts longer than many of the modern PT boards? Worth looking into. I haven’t seen enough info to offer an opinion. Do you treat your wood boards with anything??? No, I just leave them as they are. I find that one inch thich pine will last 10 years or longer untreated outdoors. I am in Upstate N.Y. where it is very wet, rains about three times a week and I apply a coat of canola oil the wood. I got the idea from a friend who used it on a floating in a lake . it does a good job and it costs less than wood sealer(which I would never use) if you buy the five gallon jug. My boxes have been on the ground now for eight years and look great. Let me know what you think. Wouldn’t the black walnut wood still have the juglone in it? Would that affect your plants? Hi Jan, The juglone is produced in the fruit, leaves, and branches, and can be distributed via the roots. I know some advice sites say not to use black walnut wood chips but I can’t find anything saying the wood actually emits juglone. Also, once the parts are harvested, the juglone dies off. Personally, I’d always choose other wood simply because it’s readily available and more likely to be sustainably grown.